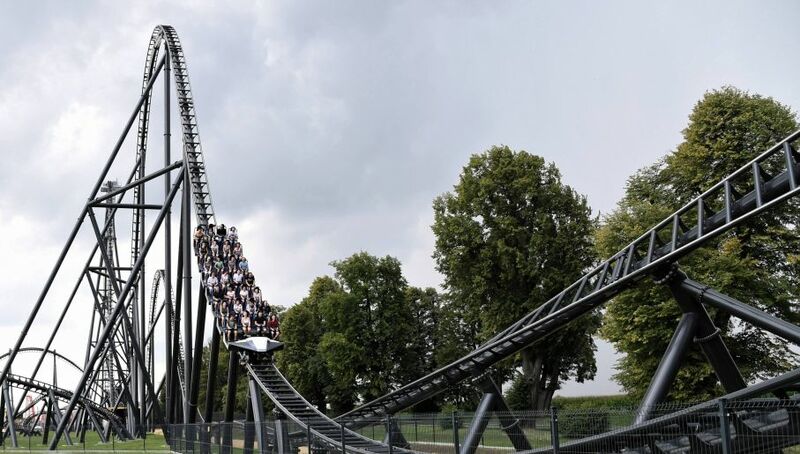 An employee of Energylandia amusement park in Zator, southern Poland, died while servicing the recently opened Hyperion, the biggest roller coaster in Europe. According to police sources, on the Thursday evening, a 37-year-old man got under the construction of the rollercoaster to pick up a cell phone, which had been dropped by one of the guests. The employee was hit by a roller coaster car. He died of his injuries. A spokesperson for Energylandia told the Polish Press Agency that none of the guests were harmed and Hyperion roller coaster is safe. The ride – which opened in recent weeks and is touted to be the tallest in Europe – will be closed until further notice. Energylandia amusement park spreads on more than 26 ha (64 acres). It offers around 60 attractions, including 11 roller coasters. More than 1.2 million people visited it in 2017. The most famous roller coaster of Energylandia is Hyperion, the highest and the fastest one in Europe. It speeds up to 140 km/h (87 mph) and reaches as high as 80 meters (262.5 ft). The ride includes an 85-degree drop. The roller coaster was opened in July.